When combined – fraud and cybercrime account for half of all crimes according to the Crime Survey for England and Wales (CSEW). The threat of cybercrime certainly isn’t going away. Therefore, we’re wise to take precautions to protect ourselves while using devices like phones and laptops. There’s a lot to choose from when looking for an antivirus solution. So we thought it would be a great idea to collate the very best free anti-virus software solutions on the market in 2019. This list will provide you with everything that you need to know to install and update free anti-virus software to suit your individual requirements. 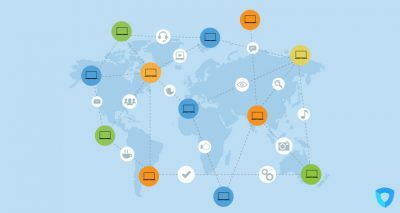 Hackers are continually innovating and finding new approaches to access devices via the internet. They illegally crack into smartphones, tablets, and PCs to control the device and manipulate data, remotely, from anywhere in the world. These attacks may include new and improved viruses, malware, ransomware and phishing scams. A “phishing scam” is where a hacker attempts to get access to sensitive data like login details or bank information. Antivirus companies are well aware of the fact that there are new attacks invented daily, and keep on top of recent upgrades. The best anti-virus companies are continually improving their software to secure devices and block out malicious activity. When looking for an antivirus company, you’ll want to look for those who have all-round protection, military-grade security tools, great features, one that is easy to use, with responsive customer support and that offers excellent value for money. TotalAV offers the usual antivirus features such as real-time execution, spyware removal, firewall and removing ransomware – offering robust protection from hackers & Malware. In addition to this TotalAV is great for people who like to perform resource heavy operations like gaming and streaming. This is due to their enhanced optimization features. On top of this, TotalAV uses the Savapi anti-malware engine – used by over 500 million users worldwide. By choosing TotalAV you’ll be in good company. Additionally, TotalAV offers some amazing optimization features that are not often found with antivirus solutions. TotalAV helps reduced bootup times, reduce lag, and creates faster high CPU program running times. Additionally, the software free’s up space by removing duplicate and trash files that are taking up much-needed space on your hard drive. TotalAV also increases battery life and cleans browser data. The TotalAV support team is always just a few seconds away. Their live chat team is extremely responsive and they also offer a priority service at an additional fee if you require additional support in a hurry. Looking for a high-quality, 100% free anti-virus solution for windows? Look no further than award-winning Kaspersky Free. A Russian owned internet Security Company with 400 million users. Their free anti-virus solution is very comprehensive and doesn’t show adverts or collect personal data. You can’t get much fairer than that! We love Kaspersky as they offer their free solution to benefit the community and learn more about cyber threats. To, in turn, help more people, amazing motivation to do business! Their free package offers full protection including file antivirus, e-mail antivirus, and web antivirus. Some other benefits of Kaspersky are that they have been awarded for having minimal impact on computer performance. Upgrading to their paid solution “Kaspersky Internet Security” gets you enhanced features and payment protection and what they call “system watcher”. The system watcher is continually scanning for unknown threats. All of the paid solutions come with a 30-day no quibble money back guarantee. The customer support from Kaspersky is top notch. They are on the other end of the phone 24/7 to provide friendly assistance, no matter what product you are using. You can also get in touch with them via live chat. Try out the completely free version of high performing anti-virus software – Bitdefender, suitable for Windows. A stable and reliable anti-virus solution that automatically installs and can be set up in minutes. Complete with firewall, auto scanning, VPN and tune-ups, the paid version – Bitdefender Plus is an award-winning anti-virus solution which instantly alerts you if your device is encountering malicious attacks. Available for both personal and business users. Bitdefender offers full protection for all of your devices including web protection, removing malware, removing spyware, blocking phishing sites, and providing VPN security. When you have the free version you will be able to see what features you can and cannot use easily inside the app. If you require to speak to someone, then Bitdefender is always on the other end of the phone. Their available 24/7 via email, phone, and live chat to discuss any issues that you might come across. Another completely free and robust Windows anti-virus solution is Avira Free. The only drawback would be the ad pop-ups and impact on performance. We like a free product that has no adverts but do understand Avira want to recoup their money somehow, and in this case, adverts are the solution. On the flip side, Avira throws in some neat bonuses such as a 500mb/ month VPN and easy to use interface. Avira is easy to use, perform scans and ensure that your device is kept secure. Avira does everything that you would expect from an anti-virus software such as removing malware, spyware and protects you while surfing the web. Additionally, they offer VPN security, which highly we approve of! Avira offers world-class customer support in a wide range of languages, including Russian, Korean, English and Mandarin (to name but a few). You can read about their tech support staff and see their images online, which is a nice touch. Their customer support is reachable 24/7 via live chat and phone. The Avast Free Antivirus software is a lightweight, simple to install and easy to use solution that automatically scans your device for threats. Avast Free Antivirus uses real-time detection to analyze files before they even reach your device. The way this works is that Avast scans files on the cloud to detect malware or malware-like behavior. The Avast Free Antivirus software has a variety of great features that protect you when you are on your device. For example, it doesn’t just check files on the cloud, it also monitors the behavior of your apps to ensure that they don’t go rogue. This feature-rich anti-virus software offers intelligent threat-detection and runs in the background so that you don’t even know it is there. The intelligent threat-detection tracks down and blocks viruses, malware, spyware, ransomware, and phishing. It is hard to believe that you get all of these features for free, stopping threats and protecting you before they even reach your device. When you are gaming or watching movies, there is nothing more annoying than useless notifications or pop-ups. With Avast Free Antivirus you can enjoy uninterrupted gaming or movie time. Additionally, this mode can be activated when recording videos or presentations. If you need more power at a later date, Avast Internet Security adds plenty of valuable security layers: a firewall, spam filter, extra ransomware protection, a secure DNS system and a sandbox to more safely run suspect apps. It’s yours from £49.99 ($70) a year for one computer, one-year license. Avast offers customer support via phone and email however, unfortunately, they don’t have a live chat facility. One of the most experienced anti-virus companies around, Norton offers a full 30-day trial with any of their premium packages. Free trials are offered throughout, including Norton Small Business, Mobile Security, Norton Family Premier, Deluxe and Premium. Whereas the business package is configured with benefits that would suit the internet savvy small business owner, in fact, the Norton Small Business package sounds very impressive. They offer “Fortune 500-caliber protection” and easy to use the software. Designed to keep company data safe, protect employee’s devices and be deployed across up to 5 devices. Their premium packages offer great value for money after your 30-day trial has expired. You can get in touch with Norton 24/7 via phone and live chat. However, you need to do some digging around and then fill out a form to uncover their phone number. The award-winning “BullGuard” antivirus software company has been around since the turn of the century and has done rather well. BullGuard is extremely easy to use and detects just about every form of malware to come across its tracks. The UX is clean and easy to use. Intelligent triple layer protection constantly on the alert for intruders. They don’t have a 100% free option, however, they do offer a generous 2-month free trial. Bullguard has an extremely swift and supportive live chat team, who are available to answer all of your questions. Unfortunately, they don’t’ offer a telephone answering service presently. 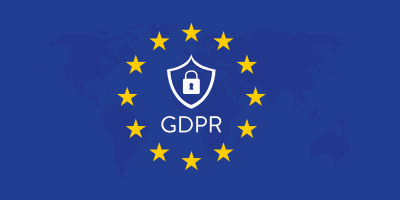 When selecting PCProtect as your antivirus provider, there’s a strong feeling that you have chosen a company that researches every area of cyber attacks to keep you fully protected. 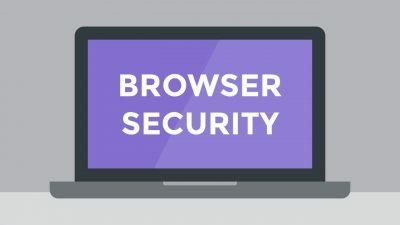 PCProtect offers protection for your computer or device in all areas such as mobile vulnerabilities, data theft, internet threats, and local attacks. They also provide a secure online experience that keeps your data completely private. The app is extremely easy to install, even for a complete newcomer. The setup and installation process is completely seamless. Additionally, it deletes duplicate files, freeing up space. The software is streamlined and so easy to use while providing a reliable and secure antivirus solution. “You get what you pay for” is normally true, but there are always acceptions to the rule. PCProtect offers comprehensive tutorials to guide you through installation and using their software. If you can’t find what you need then they offer top class live chat support to all of their customers, no matter what solution you are using from them. McAfee is a well-known antivirus solution that has been around from the very beginning (around 3 decades). The company is now owned by Intel Security Group and has over 30 cyber security products in their portfolio. The McAfee anti-virus software is streamlined and reliable and thankfully only detects “actual” threats, whereas some other antivirus falsely detects safe programs as threats. They have some nice features and their software is simple to set up and deploy. One thing that is really great about McAfee is that they support installation across 10 simultaneous connections. McAfee has some neat bonus features such as optimization, where they minimize bandwidth uses to ensure that you are browsing the internet at optimal speeds. Additionally, they have a password manager, identity theft protection and encrypted storage. The support team at McAfee are very flexible, they offer telephone support in 5 languages and live chat support in 20 languages. You can also reach them via email. The customer support team is available 24/7 should you run into any difficulties. You can run a free diagnostic virus scan by downloading Scanguard for free. Downloading only takes a few seconds, once downloaded you can then register within minutes and run the program. You’ll then be notified of any potential threats to your device and directed to the best course of action. The app will also block any threat to your device straight away. If you choose to upgrade to their premium solution, they do offer a full 30-day money back guarantee for your peace of mind. The solution is simple and easy to use. ScanGuard offers real-time scans, full system scans and background scans to protect all of your devices from threats from hackers. The entire process is really easy to carry out so perfect for those who are new to antivirus software, or people who have minimal technical knowledge. The live chat from ScanGuard is top class. They offer instant messaging via their Live Chat in minutes. If you’d prefer phone or email contact then you can still contact them via these methods. AVG has been around for almost 3 decades and currently supports 200 million antivirus users. They currently have a portfolio of security products including HideMyAss! 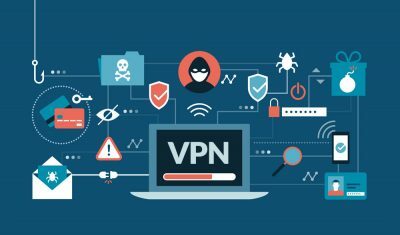 VPN that we reviewed in an earlier article. This award-winning digital security company offers a free anti-virus solution that’s simple enough for beginners to use. The free AVG antivirus software includes real-time security scans for malware and performance issues and also catches malicious downloads before they even reach your PC. If you upgrade to their premium solution they have some really awesome features, such as preventing people from spying on you via your webcam. A fantastic free anti-virus provider to finish our list off! AVG has a fantastic array of customer support methods of contact, from social media like twitter and facebook, to a vibrant online community. AVG offers a complete support package that includes the normal 24/7 live chat and phone support. There are a great number of the best FREE antivirus products on the market. We’ve collated the best and described what they have to offer to ensure that you don’t have to do the legwork. Whether you’re looking for antivirus software to protect your family or business, there is a 100% FREE option for you. Choose your favorite antivirus software and get started today. 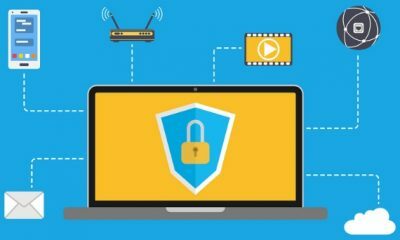 Does using a VPN protect against Malware?